My first experience with Lush was using one of their amazing soaps to treat acne. But I forgot about Lush for quite some time. I occasionally walked past a store and was always entranced by the smell, but I never actually bought anything from there. It wasn’t until a store opened up right out the front of a Forever New store in the Canberra Centre that I remembered how good it was…. And how it would likely drain my bank account! But after a long week at work. I decided I should treat myself to a relaxing bath. A work friend recommended that I try the Avo-bomb. She said it was an avocado bath bomb which actually made the bath go green and left you feeling silky smooth. I headed over to my closest Lush store, and started browsing the bath bombs. I didn’t see the Avo-bomb, but there were many other selections there. Sometimes too many selections! I spent a good 30 mins trying to decide on a bath bomb. 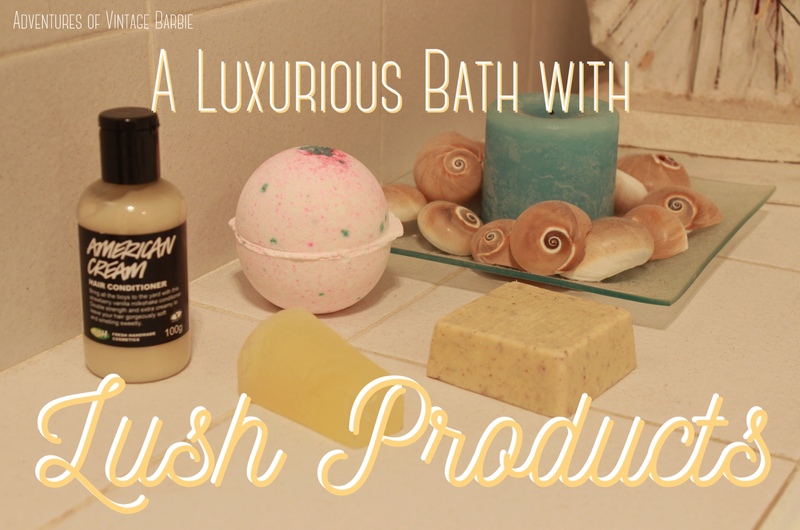 I really just should have bought multiple bath bombs to try, because there are so many delicious smelling kinds! 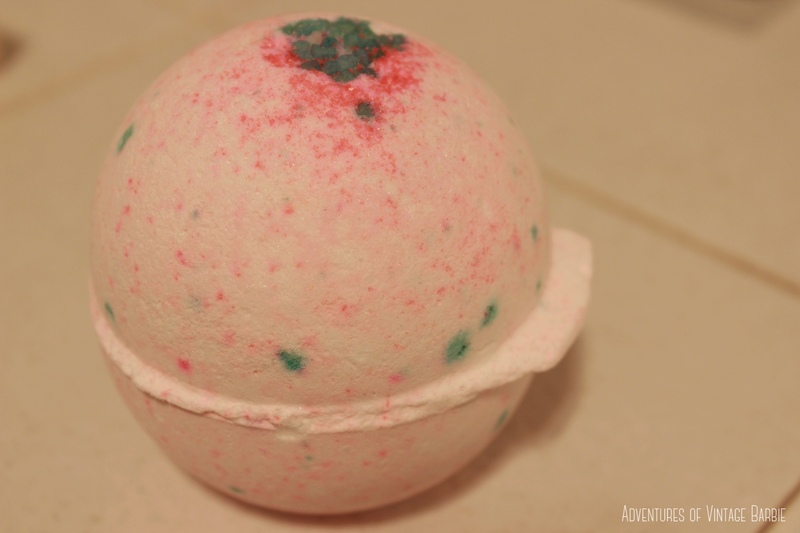 I chose a cherry blossom scented bath bomb for my at home day spa experience. This bath bomb slowly fizzed away in the bathtub and made the bath slightly pink. The scent is just divine – I expected it to smell like potpourri but it smelt more like a watermelon flavoured lolly. I later realised that this is the combination of jasmine, mimosa and orange blossoms. After only a few minutes soak, the bath bomb left my skin feeling silky soft all over. My hair also smelt like a beautiful garden after only a few minutes. I was very surprised with this and this makes me want to use this bath bomb again. I was reluctant to try this conditioner because I usually use conditioner specifically formulated for blonde hair. However my hair had been suffering and it really needed some extra moisture of some sort. I chose the American Cream Conditioner as it has a delicious creamy honey and vanilla smell. I used a generous amount of conditioner in my hair and left it in for about 5 minutes, just likely I would for many treatments. I also combed my hair with this conditioner in so I could really let it do its work. Whilst my hair smelt delicious after the wash, it wasn’t noticeably different after rinsing. I also didn’t notice any improvement in my hair once it was dry. I suppose this type of conditioner would be good if used regularly and combined with the American Dream Shampoo, but at the price of $25 per 250g bottle of shampoo or conditioner, I don’t know if is worth it to experiment on its hair repair qualities. I often use scrubs and exfoliating gels on my skin, but I was new to using a bar of exfoliating soap. To use this exfoliation bar you rub the bar directly on your skin in one or two stroke motions. Then put the bar aside and massage in the exfoliator that is on your skin. When you use this bar it feels like you have a large amount of oil and you have rubbed it in with a sprinkling of sand. When you wash off this scrub, you feel like there is still a lot of oil on your skin. This is great for legs and arms, but I would definitely not recommend it all over. It did nothing for my feet and a few days after using it on my back, I broke out with an insane amount of back-acne (I sometimes have one or two spots, but nothing like this). In future, I would definitely use the exfoliator on my legs and also my arms, but not on any spots where breakouts could potentially be a problem. I didn’t use this in the bath as I already had my fair share of products, but I used this at a later date. It is very fresh and citrusy, but it almost smells like eucalyptus oil. This is odd for me as eucalypts oil is often used in cleaning for me, so I felt odd using this product on my skin. It is meant to lightly exfoliate your skin. I found this a lot lighter than the exfoliator bar and I would be more inclined to use this on my back or chest, rather than use the exfoliator bar. 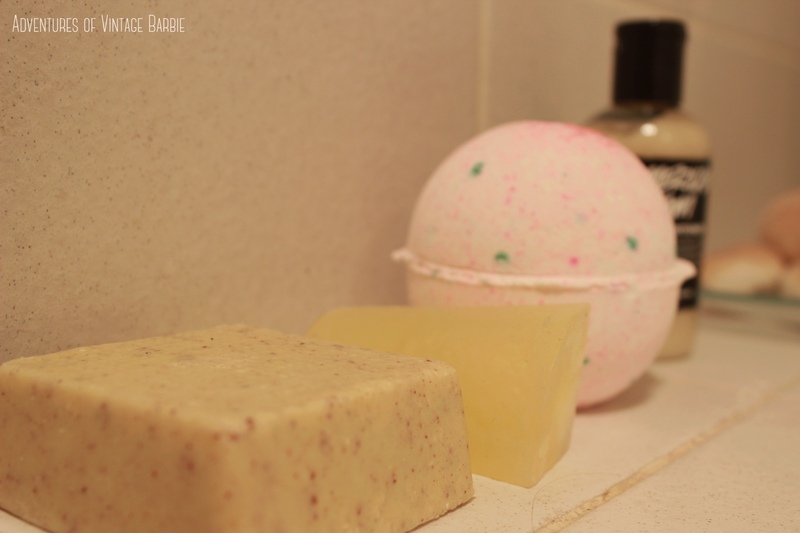 Have you used any of the above LUSH products? 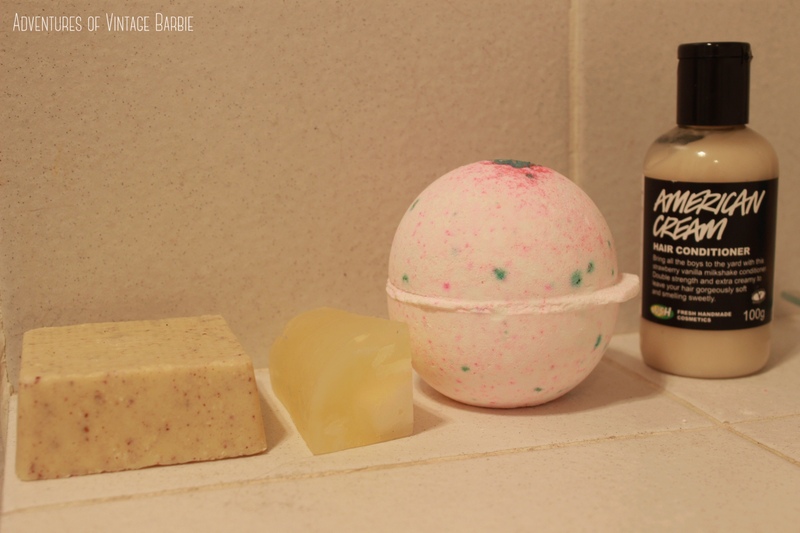 What is your favourite product from LUSH? Share your thoughts in the comments section!